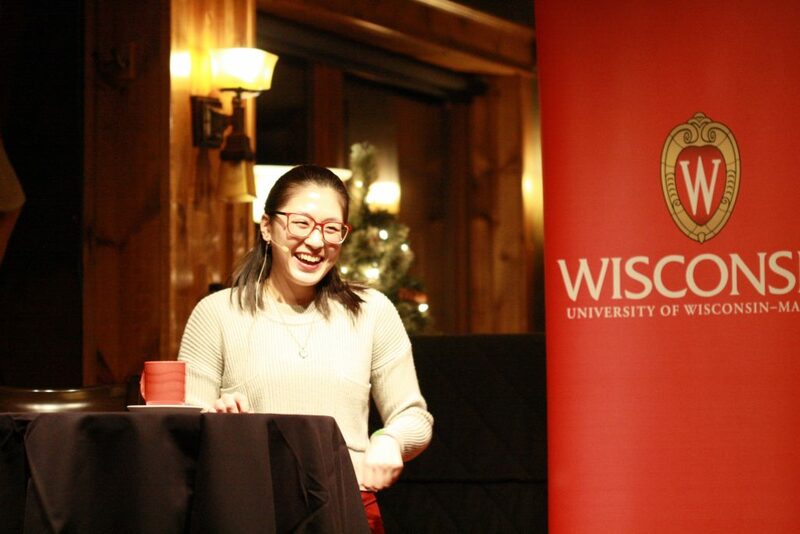 Edna Chiang, BTP trainee, speaking at Science on Tap-Minocqua. Photo by Carol Warden. Biotechnology Training Program (BTP) trainee Edna Chiang is using her education and BTP traineeship to bring science to others. Recently, her outreach efforts culminated in a talk about her research for Science on Tap-Minocqua, a science outreach program in rural Wisconsin. The event is the result of a partnership between UW–Madison, the Wisconsin Alumni Association, and Minocqua businesses and exemplifies the Wisconsin Idea — that the boundaries of the university are the boundaries of the state and beyond. Chiang presented on her research on hibernating ground squirrels and the microorganisms that reside in their gut. The labs of her advisors study how the squirrels and microorganisms interact and work together to survive winter. She is a third-year graduate student in the Microbiology Doctoral Training Program and co-advised by comparative biosciences professor Hannah Carey and bacteriology professor Garret Suen, the latter being a BTP mentor. Outreach has long been a part of Chiang’s interests since she started graduate school and became a BTP trainee. The first-generation college student with parents who immigrated from Taiwan participated in numerous outreach events others put on while she was growing up. As her interests in biology outgrew her parents’ knowledge of the subject, they encouraged her to attend events and join after school clubs. Edna Chiang. Photo by Robin Davies. She says that her training and funding from BTP gives her the flexibility to pursue experiences in science communication and public engagement. For example, she participated in the Wisconsin Idea STEM Fellowship program, which trains university researchers on how best to engage small audiences with research. 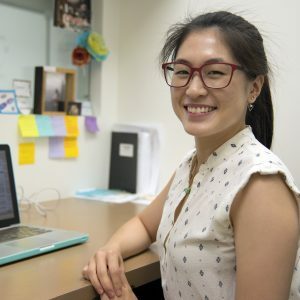 She also is pursuing a Ph.D. minor from the Department of Life Sciences Communication and worked with the Morgridge Institute for Research on designing public outreach activities that focus on the work from her lab. She adds that the interdisciplinary nature of BTP and its trainees has further aided in her education. She gave a talk in the BTP Seminar to students from all kinds of scientific backgrounds and had to make sure that it was understood by and relevant to everyone. She says she’s considering taking her education in biotechnology to science communication and public engagement and the BTP internship will let her travel to Washington, D.C. for her internship.